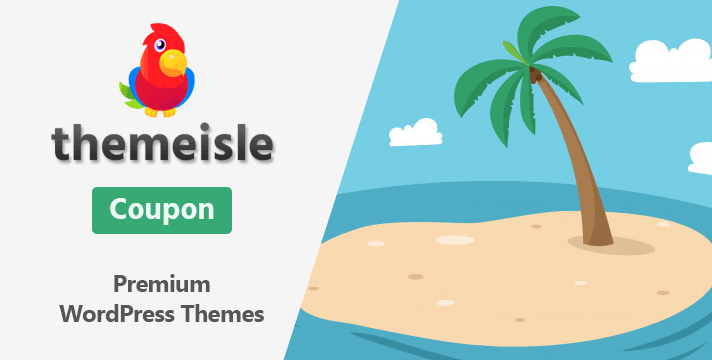 ThemeIsle offers an extensive collection of high-quality, both free and premium, WordPress themes suitable for portfolio, personal, music, business, medical and many other websites. If you search for best free WordPress themes, you probably would come across two WordPress themes – Zeri Lite and ShopIsle. Both of them are developed by ThemeIsle and available free on WordPress.org under themes repository. All of their themes are crafted with highest quality of perfection and usability in mind. Get 10% OFF on all Themeisle’s yearly and lifetime plans. Apply Themeisle coupon code NEWPIRATE10 in cart. Sign up today to join 471,039+ happy customers and get access to all our themes & plugins for only €80. Apply discount code above to avail 10% discount on checkout. Themeisle is always getting better, that’s why you can now download over 20+ premium quality WordPress themes absolutely free. Save 10% using ThemeIsle Coupon Code. Join ThemIsle Club and get instant full-access to 40+ high quality WordPress themes and plugins for only $80. To redeem the coupon code, follow our instruction below. All you have to do is click on the link below. Alternatively, you can apply coupon code NEWPIRATE10 on checkout page to avail the discount. This will take you to the pricing page and apply the discount automatically. On checkout page, choose the payment method. You can pay via PayPal or credit card. Once the payment is done, you will be able to download the purchased items from the Dashboard instantly. Find more WordPress and Hosting deals here.